If you haven't been on the site in a while, a few things have changed. There are now Forums for my readers to get together and talk hockey. Updated Menus that now break down and show you Drills and Skills to make it easier to find the drills you are looking for. 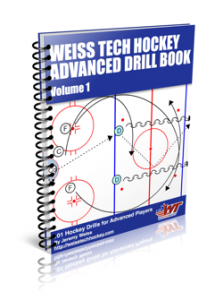 I've added a few Resources that I hope you will find useful like the Drill Diagrammer from M2Hockey and a few other links to some stores that I use from time to time. Over time, I hope to give the site a new look and feel, but first up, I plan to get back into adding new drills and articles for you.